Pork Belly braised for 4 hours in classic Filipino sauce. 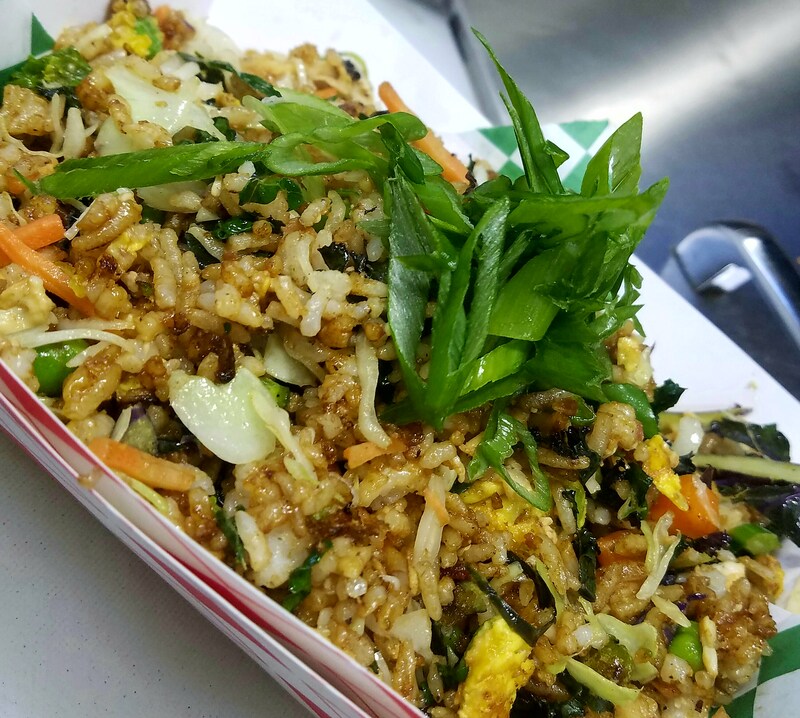 Cooked crisp and served over fried rice, cabbage, kale, carrots, enoki mushrooms, pea sprouts and scallions. 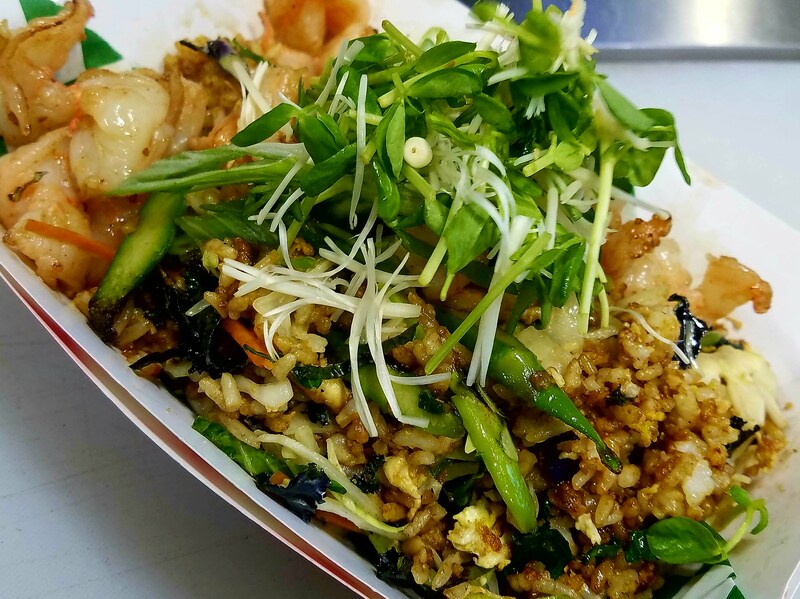 Wok buttered shrimp served on top of fresh asparagus fried rice, enoki mushrooms, pea sprouts and scallions. Old favorite! Chinese sausage, chicken breast, trucks vegetable blend and egg. 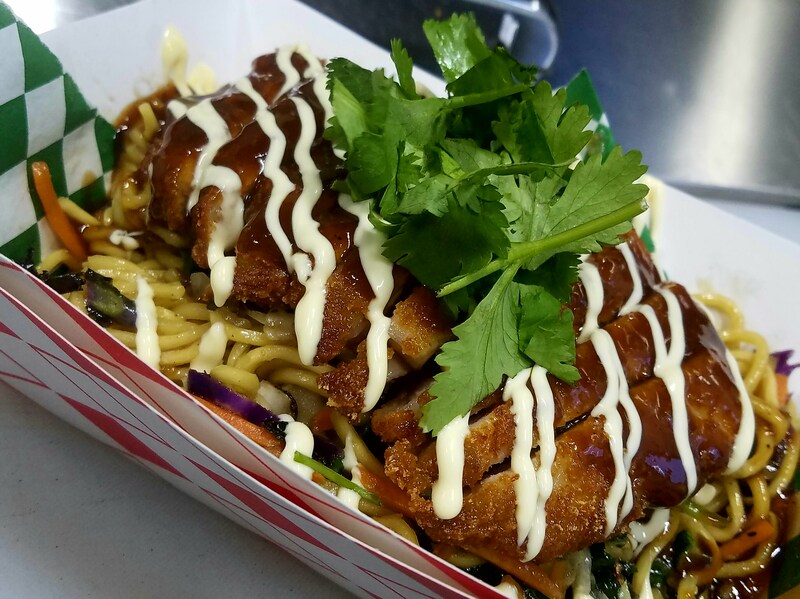 Fried pork cutlet served on top of stir fried yakisoba noodles, vegetable, katsu sauce, Japanese mayonnaise and cilantro. 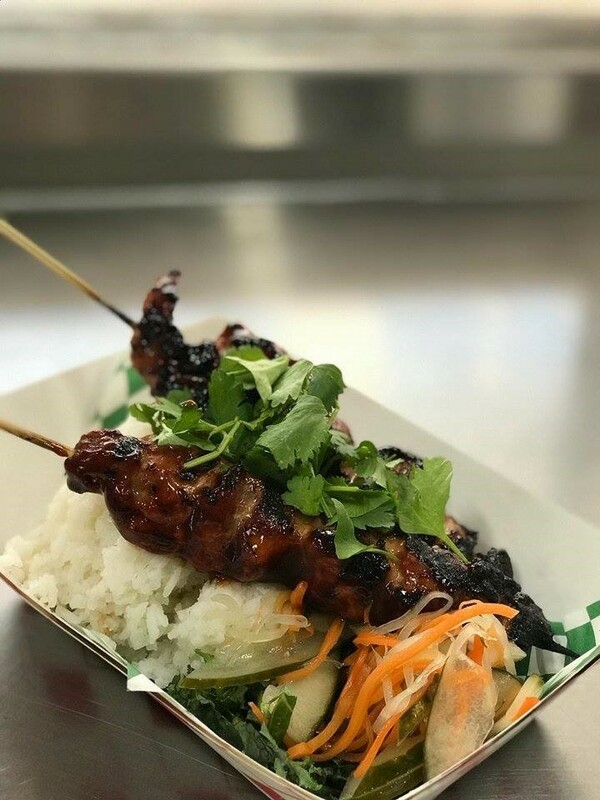 2 BBQ pork skewers with homemade BBQ sauce served over white steam rice, kale and cilantro. 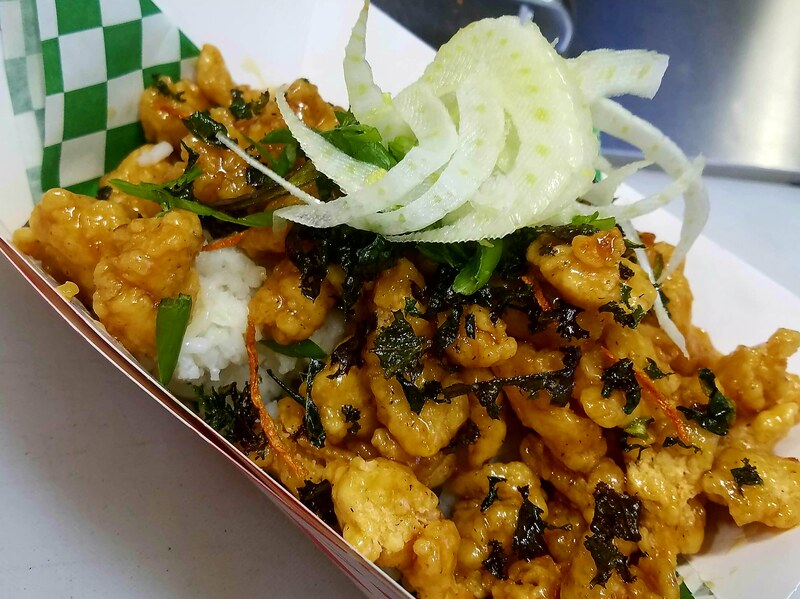 Battered and deep fried chicken pieces tossed in citrus sauce, crispy kale, scallions and thinly shaved fennel. 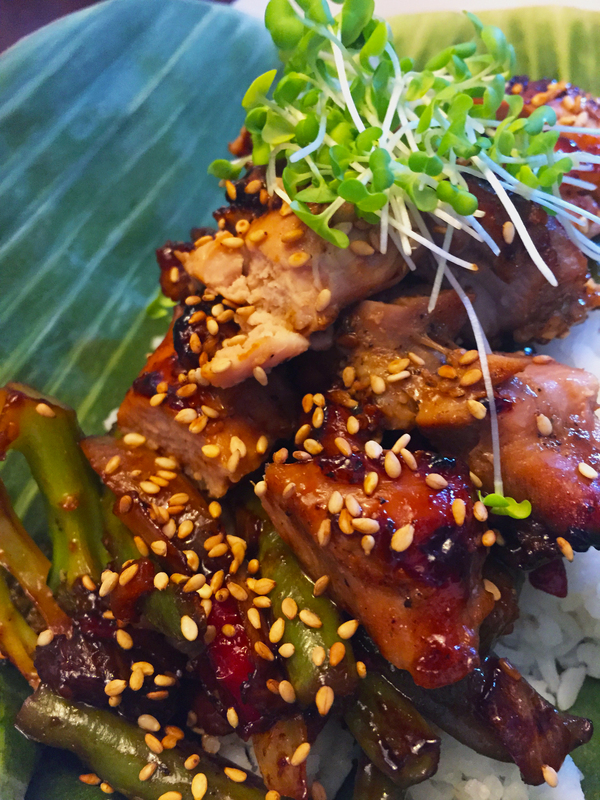 Served over white steamed rice. 4 handmade pork and shrimp spring rolls. 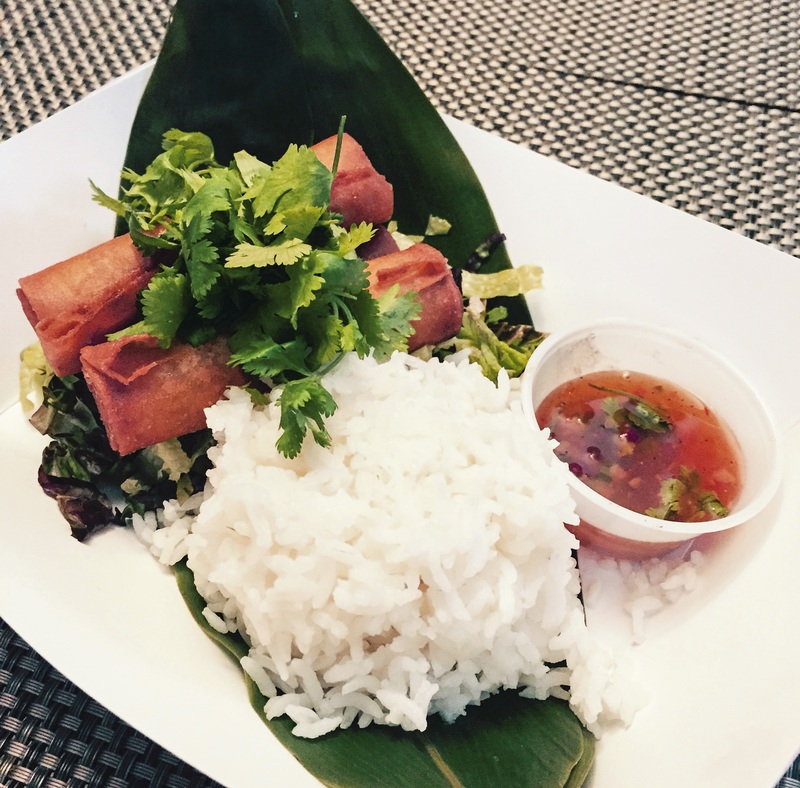 Served with white steamed rice, kale, cilantro and Flippin' Rice dipping sauce. 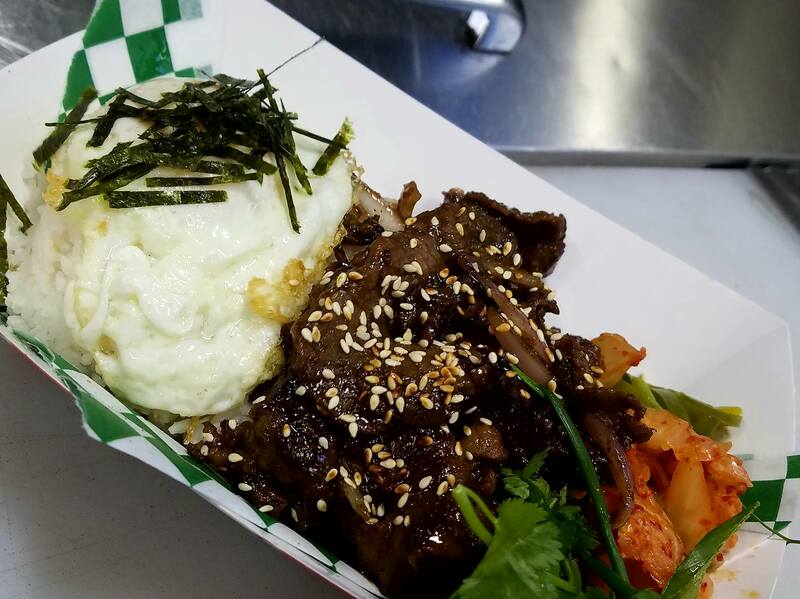 Thinly sliced ribeye beef served with white steamed rice, pickled Jalapenos, Kimchi, scallions, cilantro, caramelized onions, toasted sesame seeds and over easy egg. Kimchi, a staple in Korean cuisine, is a traditional side dish made from salted and fermented vegetables, most commonly napa cabbage and Korean radishes, with a variety of seasonings including chili powder, scallions, garlic, ginger, and jeotgal (salted seafood). There are hundreds of varieties of kimchi made with different vegetables as the main ingredients. 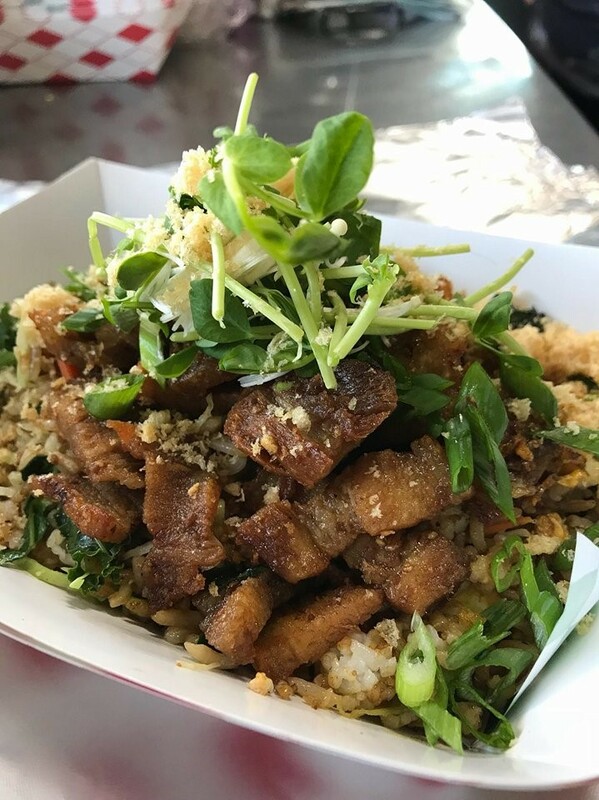 Bulgogi, literally "fire meat", is a gui (Korean-style grilled or roasted dish) made of thin, marinated slices of beef or pork grilled on a barbecue or on a stove-top griddle. Grilled chicken with teriyaki sauce, vegetable blend of broccoli, carrots, peppers, onions, green beans and water chest nuts. Served with steamed white rice and toasted sesame seeds.